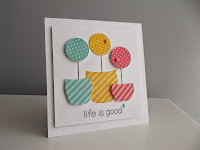 djkardkreations: NBUS Challenge #2 Winners! Here is the posting of winners for my second NBUS Challenge! The response was even more over-whelming than the wild participation in the first NBUS Challenge! There were a total of THREE HUNNERT AND EIGHT (308!) entries!! Reach around and pat yourself on whatever you can reach without pulling a wing out of its socket! You guys are the best for supporting my movement to bring love and attention and scissors and ink to the neglected Never-Before-Used-Schtuff languishing in craft rooms all over the world! Younger, prettier, more modern products appear and tempt us constantly, pushing the older models to the back of the shelf before they've ever been used. Some even drop down behind. But no longer! In a world going green and fighting against bullying and waste, we ... oh, never mind. I'm preaching to the choir!! Congratulations to all the winners chosen by Hammy, in colladoration with Dr. and Mrs. Random Org. While not setting any presidents, with over 300 entries, how could I not award FIFTEEN prizes?! Let's give the winners a huge round of applause!! Please email me at darnell dot knauss at gmail dot com to let me know your choice. Wow! Congrats to all the winners.You all are so lucky!! And Darnell, you are so generous. Congratulations to you awesome crafters! Congrats to all the winners and Darnell for another awesome challenge! Congratulations to you Darnell for running such a great challenge and to all the lucky winners. Hammy did a great job too - lovely pic of him! I would say your NBUS challenge is definitely a success! Congrats to the lucky winners! And thank you, Darnell, for encouraging us to use our NBUS! I still have lots more that I haven't used LOL! Congrats all, Mr Random must be tired now! Clap, clap, clap for all the winners. And hugs to you for getting us all to use our NBUS, Darnell. Evening Darnell . . . sending many congrats to all your winners. You are one VERY generous lady. Congrats to all of the winners. I am feeling very privileged to be a part of this awesome community of kind crafters. Thank you Darnell for your generosity, your humour, your kindness and the time that you devote to each and every one of us with your thoughtful and encouraging comments! You are a gem. Thank you for getting us onboard the NBUS train! Oh My Goodness! Thank you so much for your generosity Darnell, seriously - FIFTEEN winners!. 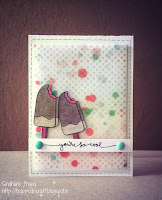 I am totally thrilled to see my card picked out by Hammy, in colladoration with Dr. and Mrs. Random Org! You are such a special lady who brings so much joy to others. Congratulations to all the winners with their amazing creations. Darnell, you are wonderful for hostessing this with your generous giveaways. Thanks for all the fun!!! Fifteen prizes? Darnell - you are a legend!!! Congrats to all the winners - beautiful cards! I am SO impressed with you and your generous spirit!! You have done an amazing thing with this NBUS challenge - such a brilliant and genius idea!! Thrilled to have been picked as one of the winners!! Thank you for the incredible blessing you are to all who know you!!! I am so surprised and happy to be one of your winners, Darnell. You are so generous and kind. Thanks very much for your amazing generosity. Congrats to all the winners! And look at all those great cards! Darnell you are so generous and your challenge is always so much fun. Thank you again having this challenge. Congratulations to all the winners!! Their cards are fantastic!! You are so sweet for doing this Darnell!!! Thank you so much for the challenge!! Congratulations to all the winners! (Hey, the real winners are the NBUS that have now been used, right?!) Darnell, thanks for encouraging us to break out our new toys and give them some love! Good times!!! Darnell for such a great turnout, and of course congrats to the winners! And thanks to Hammy for all his hard work! Amazing participation in this challenge. Congrats to all the winners and for everyone who has another card in their stash with a NBUS item! Congratulations to all the lucky winners! You are so generous, Darnell! And your challenge is so much fun! Looking forward to #3! Congrats to all the winners!! Thanks for a wonderful and fun challenge Darnell! Congrats to all the winners! Even though I am not one of them, I wish you all well and hope you have lots of fun shopping!!! Thanks again for a really fun challenge, Darnell!!! Congrats to all of these lucky winners! Enjoy your goodies, and thanks for a fun challenge Darnell!! Congrats to all of your winners Darnell and thanks for another fun challenge!!! Cogratulations to all the winners, awesome cards all. aND I just want to send a HUGE thank you to YOU Darnell, since I KNOW you made the time to comment personally on each and every entry! PS: your blog makes my heart happy! Oh, my gosh - That is so fun to see my name picked!! Darnell, your generosity is amazing and I don't mean just the prizes! (Although that IS amazing too). Your kind words about our cards and the humor you share with us in your blog are real gifts to all of us. I am grateful. Many congratulations to all the lucky winners. Such a great idea Dippy...not surprised you got so many entries. Can't wait for the next one! EEEEKKKKK!!! I just can't believe it! Thank you so much Hammy and the Random Number thingy, you have so made my day. And thank you Darnell for such a generous prize and for setting up such a fantastic new challenge. The amount of entries really does go to show how much you are loved in the crafting community and you totally deserve it!! Maybe you will break 500 with the next one???? Congratulations to all the other excited winners too! I am sooooooooo! pleased to be one of your winners. My you are such a very generous lady. I cannot believe that Hammy and random thing has selected me as one of your winners, on my first entry to you wonderful challenge, as I missed your 1st one due to illness. Thank you for creating this wonderful challenge,and all your hard work involved, it sure gets us using things we might well forget to use. Hello Miss Darnell sorry I haven't been around, congrats, so may wonderful crafters playing along with you, that's because your a joy to play with, and so generous of you to award 15 crafters, koodoos for being our Green Warrior, hope you have a lovely week, ((( BIG HUGS ))).. I am sorry I did not get to play this time, Darnell. Congrats to all of these fantastic winners! Beautiful work! congratulations to all of the winners and well done to you for another fabulous challenge. Dumbo here missed the deadline so I didn't enter but that's my fault for being so disorganised. Oh well!!.......sigh! 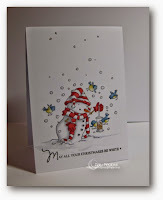 P.S thank you for your lovely comment on my Penny Black card! So many NUBUS cards to look at:) 308!!! Congratulations to all of the winners! A whole lot of talent has been seen!! A great big congrats to all the lucky winners and a huge thank you to you Darnell for hosting this fun challenge!!! Congratulations to all the lucky winners and thank you for the awesome challenge, Darnell! You ROCK!!! A big well done to all those who entered and those who won some super prizes! An ever bigger pat on the back to you Darnell for bringing everyone together and inspiring us to use our NBUS because we are all guilty of hoarding it!! Unfortunately, I have been suffering with a lack of time and internet connection and it's only just been resolved so I missed the deadline - I am now eagerly awaiting the NBUS challenge #3! Congratulations to all the winners! What fabulous entries and creative designs. Thank you Darnell for giving us that push to pull out all the old schtuff and start using it! Not that this alone will change my hoarding habits, but it might take the edge off! These were some of my favorite cards from the gallery! Congrats to the winners and well done to you my friend! Congrats on your over the top successful challenge #2, Darnell! Great cards by the winners, too--deserving even it wasn't random! Congrats, to all!!! 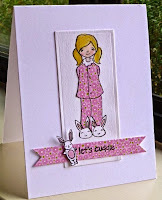 Such fun and fabulous cards! Big congrats to all the winners! And, wishing you continued success with your wonderful challenge blog, Darnell! 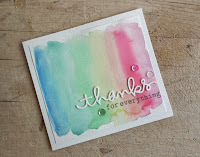 You have such a fun blog...thank you! Congrats to all the winners! Thanks, Darnell, for offering this fun challenge!!! 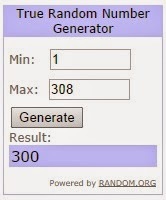 308 entries...WOWOWOW!!! Congrats to the winners and congrats to darnell for hosting another fun challenge! congratulations to the winners - thanks to everyone for sharing your beautiful skills! Congratulations to every winner and to you, Darnell... your challenges always have so many entries. Hammy knows his job, he looks like a pro. Darnell, I truly can't thank you enough! Your generosity is astounding!!! !